W Shanghai -The Bund is located on the up-and-coming North Bund. 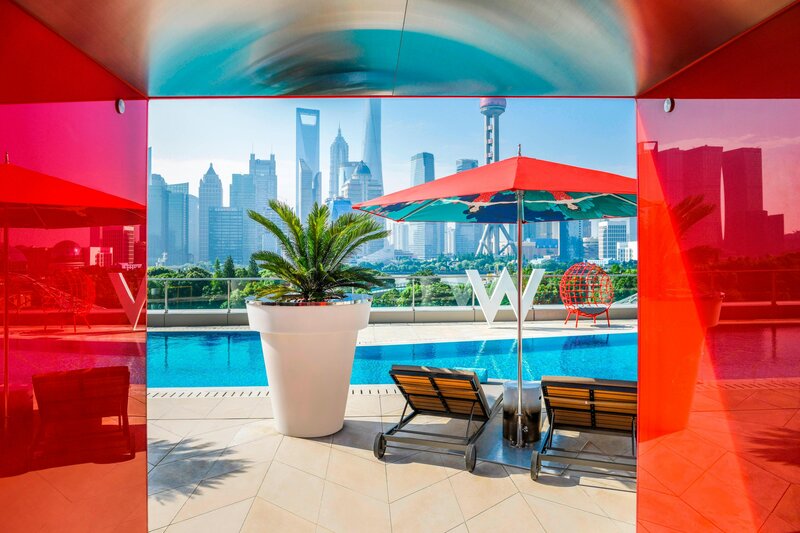 Unveiling views of the Huangpu River, 374 supremely chic guestrooms and suites fuse sophisticated Mandarin designs with playful contemporary twists. Innovative in design, 5,800 square meters of function space, including the 2,050 square meters Great Room and 12 function rooms illuminated in natural light, ensures extraordinary meetings remixed. We have 4 social and dining options including The Kitchen Table, a modern New York City style bistro with international cuisine, YEN, a two-story destination restaurant that creates authentic Cantonese dishes with a twist, Liquid at YEN, a golden age inspired cocktail bar and WOOBAR, an energized playground spotlighting world renowned DJs and crafted concoctions. 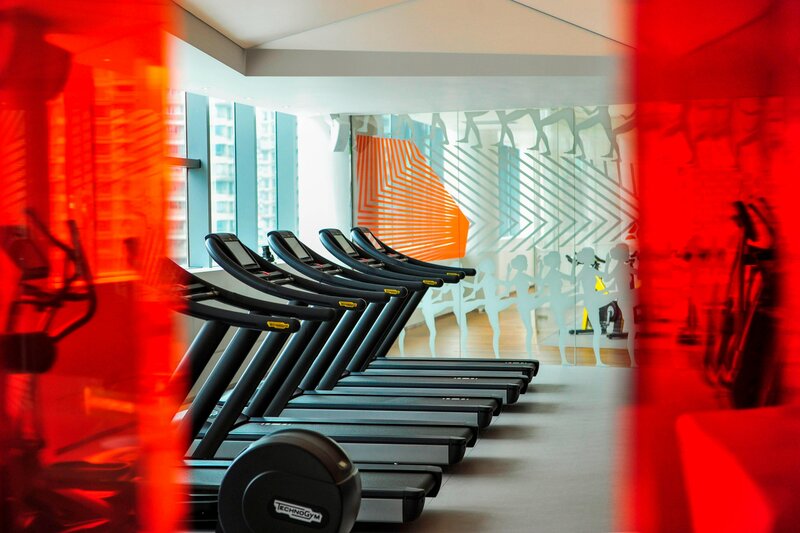 To unwind in spectacular style, guests can visit the well-equipped FIT gym, pampering AWAY Spa and city’s exclusive outdoor and indoor WET with a playful WET Deck that faces the iconic skyline. Marvel at The Bund’s architectural mix, then revel in our alluring Shanghai dream where 1920s glam and futuristic flash play out. 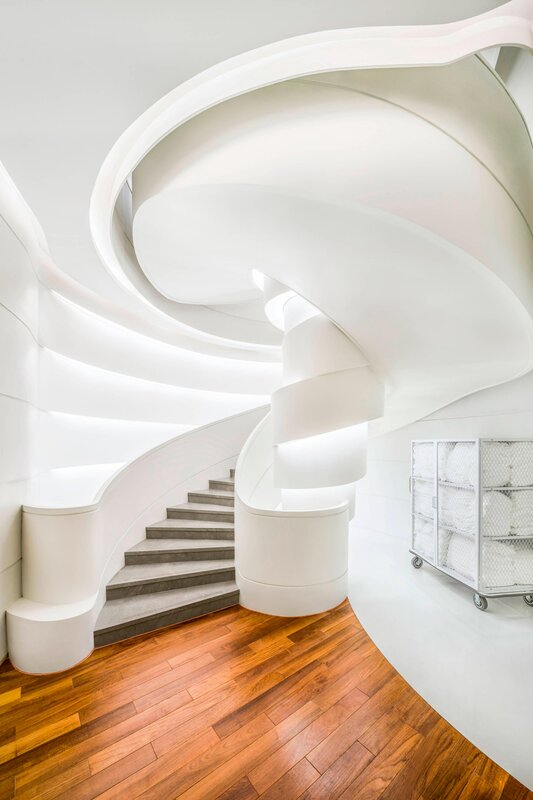 Where the city’s first cinema made its debut, W Shanghai—The Bund now steals the skyline show by exuding mesmerizing haipai, the uniquely local fusion of old with the new, the East with the West, reconfiguring colonial glamour into contemporary inspiration. Invigorate your routine with high-energy fitness programs that take the work out of your workout. 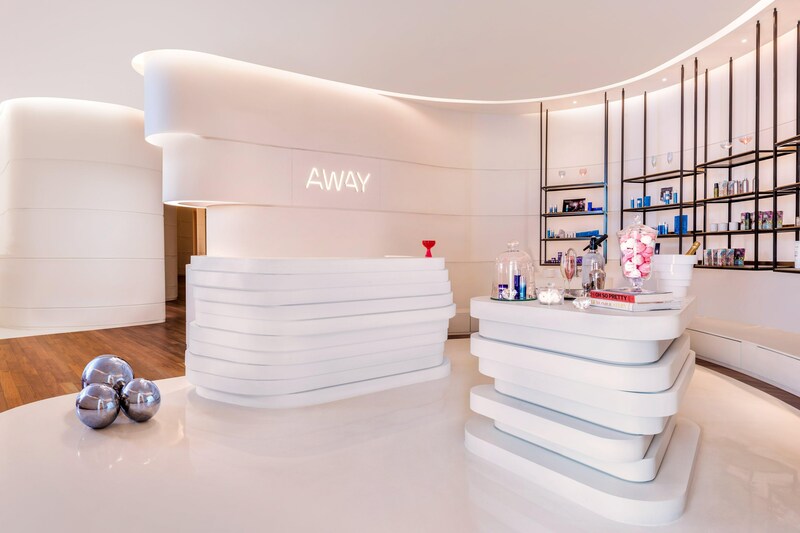 AWAY® bends the spa rules, transforming the traditional treatment experience into an amped-up social scene. Recharge with one of our tailor-made treatments, indulge in mani-pedis and cocktails, or heat things up in our sauna, steam room and whirlpool. Head to the W Floor to Detox. Retox. Repeat. Whether you’re busting calories or muscling up, the extensive range of treadmills, elliptical cross trainers, upper body trainers, stair climbers, and stationary bikes complements free weights and functional training gear for a complete head-to-toe fitness boost. Plunge into the freedom and fun of our full suite of bespoke and luxuriant AWAY® treatments, designed to revamp your mind, body and spirit in extraordinary fashion. Steal away into LIQUID AT YEN for an exquisite nightcap, or let your social animal live it up on our tropical-themed WET® BAR. Whether seeking solo serenity, an intimate catch-up or hanging with the jet set, our lobby lounge WOOBAR is the scene to be seen. Slip into our sultry 1920s Shanghainese speakeasy, where vintage cocktails handcrafted with premium spirits evoke the city’s sensually captivating Jazz Age era. Soak it all in at WET® Bar where perfect cocktails, light fare and tapas come with modern twists. Sip, snack, socialize. Come alive in WOOBAR, where life is a cabaret, a daytime playground, a music bar, a cozy studio or anything you want it to be. 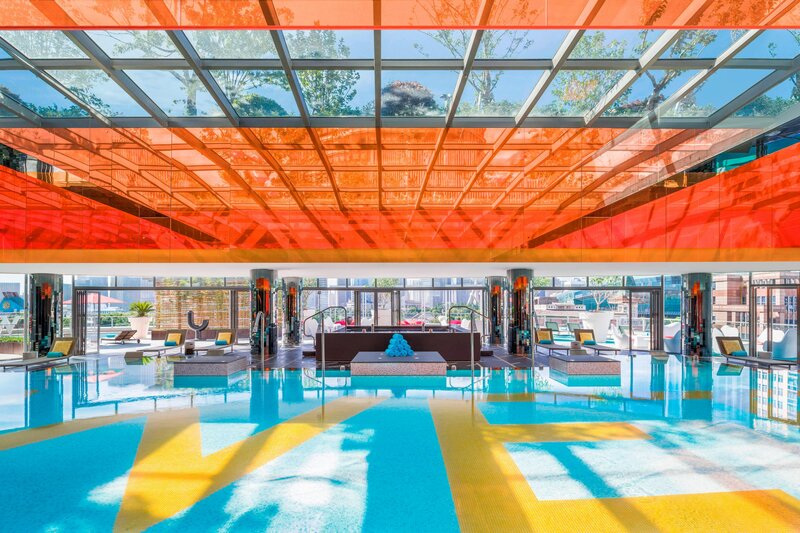 Make a splash in any season, whether at our outdoor pool surrounded by lush landscapes and vibrant deck scene set against the mesmerizing Shanghai skyline, or our indoor heated pool dappled with natural light flowing through a stunning skylight. Dive into one of our pool parties, currently making waves amid the city’s hottest happenings. Indoors, dip into comfortable 28 degree waters, buoyed by smooth grooves from the underwater speakers, and top it off with a soak in oversized whirlpools. 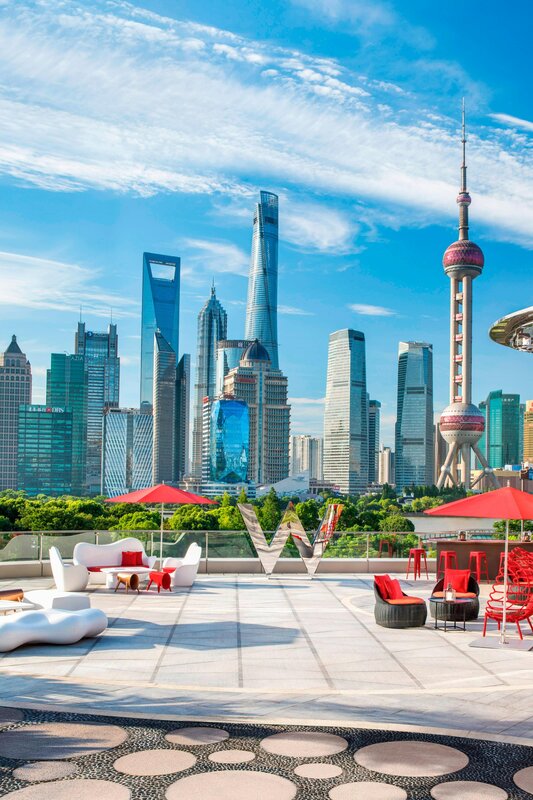 Go with the flow in this city of constant motion – cruise along the iconic Huangpu River at sunset, or get swept off your feet in a Shanghainese whirlwind of marvels, from the centenarian Jade Buddha Temple to the post-modern Oriental Pearl TV Tower. Find time to slow down and revel in tales of Shanghai’s ethnic tapestries and dignified legacies – preferably while serenaded by the legendary Peace Hotel jazz band evoking Golden Age nostalgia.